A genocide can take place directly in public view. Recognize the warning signs before it’s too late. 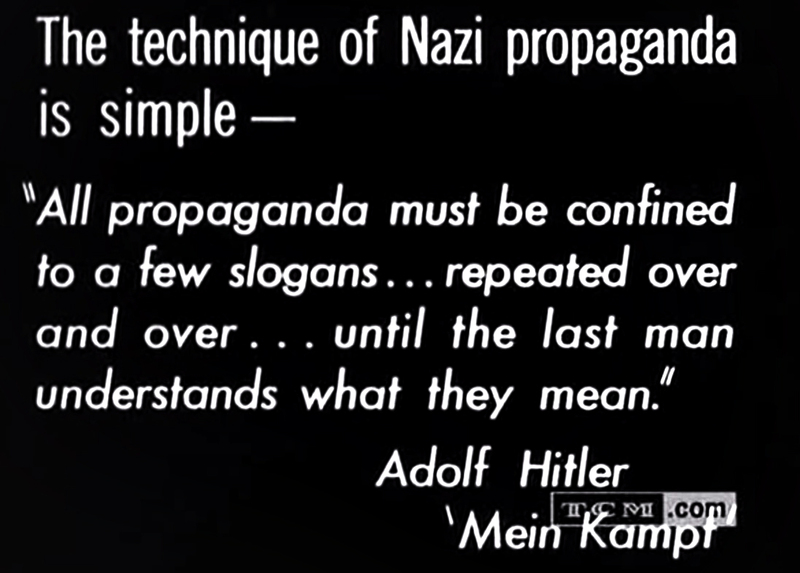 Dilemma X shares this history fashback in order that we know the warning signs of evil. Never forget the past or it will be repeated. First, what is The Holocaust? 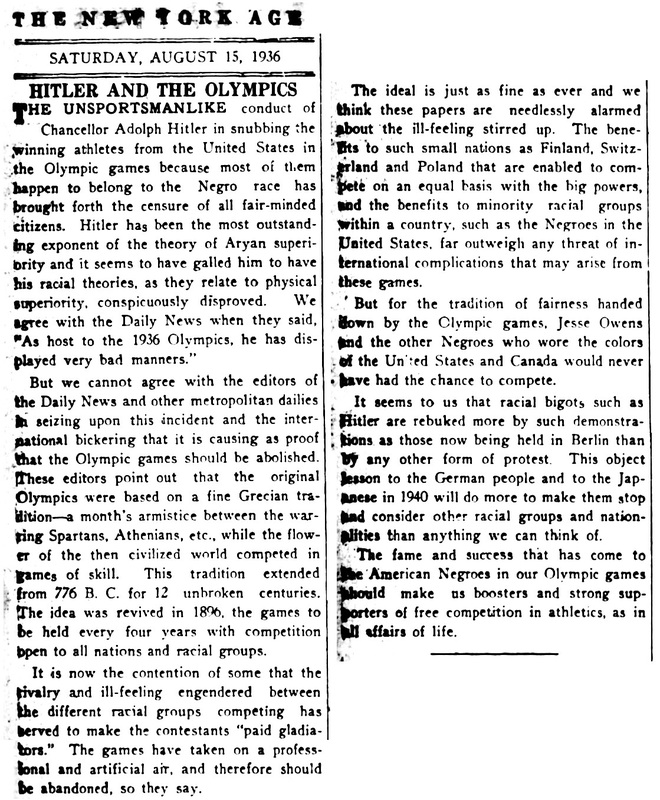 During the era of the Holocaust, German authorities also targeted other groups because of their perceived “racial inferiority”: Roma (Gypsies), the disabled, and some of the Slavic peoples (Poles, Russians, and others). Other groups were persecuted on political, ideological, and behavioral grounds, among them Communists, Socialists, Jehovah’s Witnesses, blacks and homosexuals. 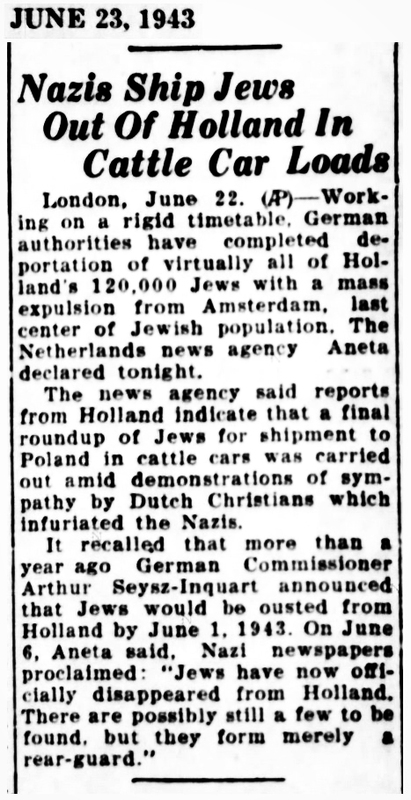 In 1933, the Jewish population of Europe stood at over nine million. 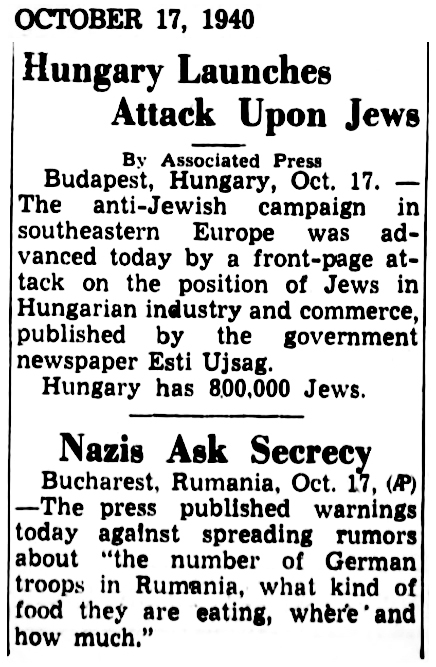 Most European Jews lived in countries that Nazi Germany would occupy or influence during World War II. 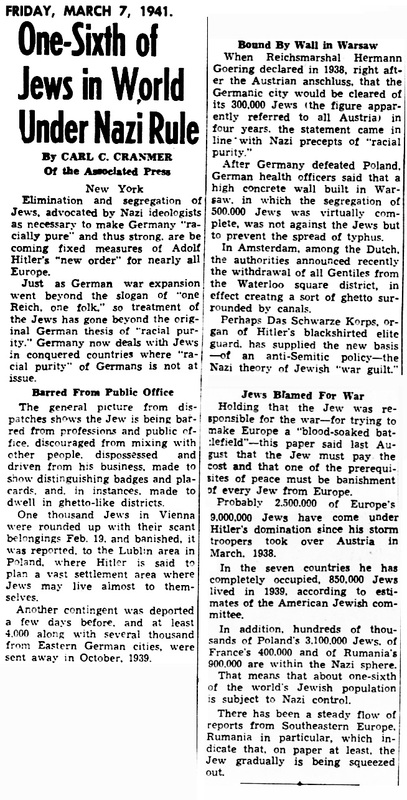 By 1945, the Germans and their collaborators killed nearly two out of every three European Jews as part of the “Final Solution,” the Nazi policy to murder the Jews of Europe. 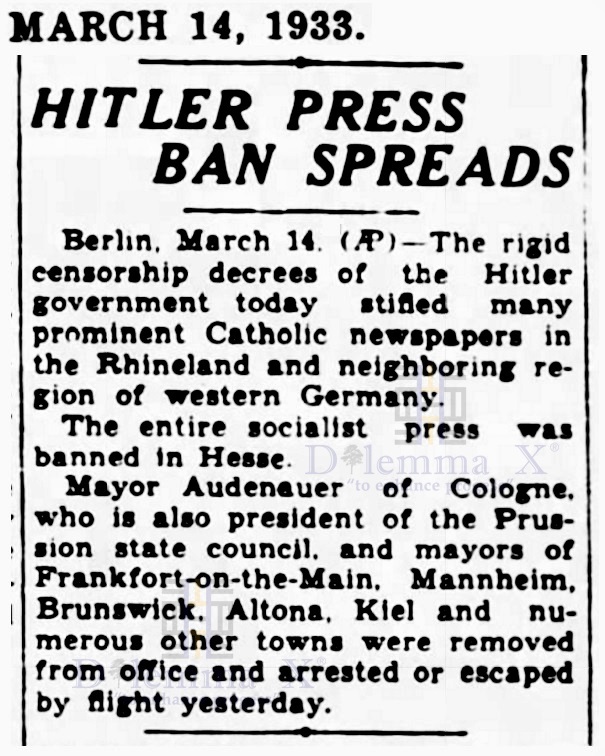 As Nazi tyranny spread across Europe, the Germans and their collaborators persecuted and murdered millions of other people. Between two and three million Soviet prisoners of war were murdered or died of starvation, disease, neglect, or maltreatment. 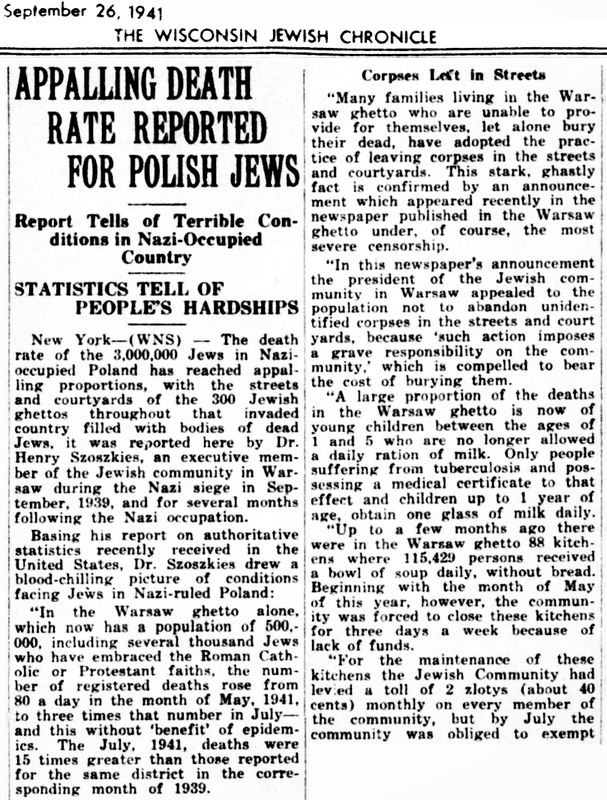 The Germans targeted the non-Jewish Polish intelligentsia for killing, and deported millions of Polish and Soviet civilians for forced labor in Germany or in occupied Poland, where these individuals worked and often died under deplorable conditions. 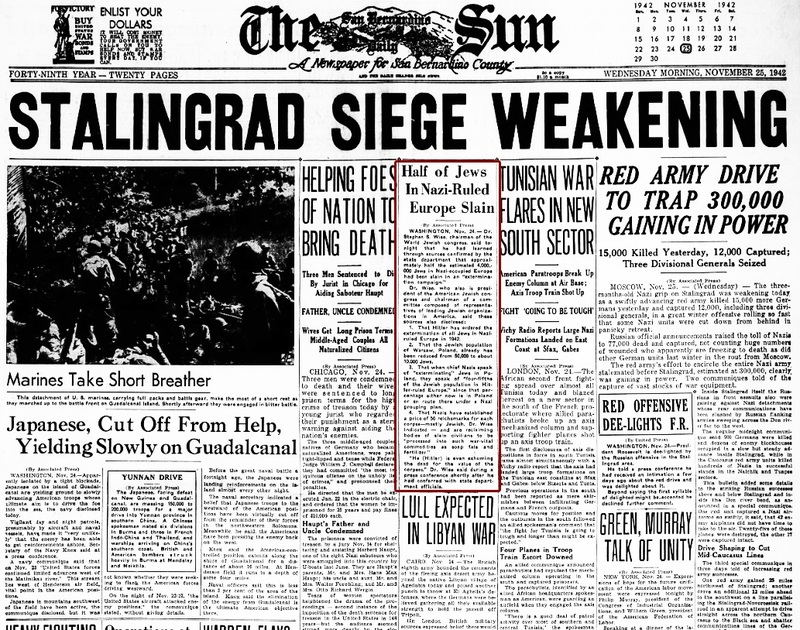 For the western Allies, World War II officially ended in Europe on the next day, May 8 (V-E Day), while Soviet forces announced their “Victory Day” on May 9, 1945. Semitic people are Afroasiatic (black African and Asian mix). Semitic languages include: Arabic, Aramaic, Amharic , Hebrew, Tigrinya and Chadic languages (that includes Hausa spoken in West Africa). Hebrews are a Semitic people who are said to have arrived in Canaan (known today as Israel) around 1250 BCE (Before the Common Era or BC). Canaan the name for a region approximating present-day Lebanon, parts of Jordan and Syria west of the Litani River. Over time many Hebrews in what is now known as the Middle East converted to Islam or Christianity. Ashkenazi Jews-The name Ashkenaz was applied in the Middle Ages to white European Jews living along the Rhine River in northern France and western Germany. The Rhineland today is the general name for areas of Germany along the river Rhine between Bingen and the Dutch border. The center of Ashkenazi Jews later spread to Poland-Lithuania, Hungary, Russia, Eastern Europe and now there are Ashkenazi settlements all over the world. The term “Ashkenaz” became identified primarily with German customs and descendants of white German Jews. In the 10th and 11th century, the first Ashkenazim, Jewish merchants in France and Germany, were economic pioneers, treated well because of their trading connections with the Mediterranean and the East. In the 12th and 13th centuries, many Ashkenazi Jews became moneylenders. They were supported by the secular rulers who benefited from taxes imposed on the Jews. In 1182, Jews were expelled from France. Ashkenazi Jews continued to build communities in Germany until they faced riots and massacres in the 1200s and 1300s. Some Jews moved to Sephardi Spain while others set up Ashkenazi communities in Poland. Yiddish is a High German language. Yiddish was the common language of Ashkenazi Jews in eastern and central Europe. Sephardi Jews– The descendants of European Jews who left Spain or Portugal after the 1492 expulsion are referred to as Sephardim. The word “Sephardim” comes from the Hebrew word for Spain, Sepharad. In the year 587 C.E., King Reccared, the Visigoth king in Spain, converted to Christian Roman Catholicism and made it the state religion. In the year 589 C.E., a canon was passed forbidding the marriage between Christians and Jews; and in 612 C.E., the Council of Gundemar of Toledo ordered that all Jews submit to Christian baptism within the year. In 638 C.E., the Arian Visigoths declared that “only Christian Catholics could live in Spain.” The situation improved in 711 when Spain fell under the rule of the black African Muslim Moors. Both Moorish Muslims and European Jews built a civilization, based in Cordoba, known as Al-Andalus, which was more advanced than any civilization in Europe at that time. The era of Muslim rule in Spain (8th-11th century) was considered the “Golden Age” for Spanish Jewry. Jewish intellectual and spiritual life flourished and many Jews served in Spanish courts. Jewish economic expansion was unparalleled. In Toledo, Jews were involved in translating Arabic texts to the romance languages, as well as translating Greek and Hebrew texts into Arabic. Islamic culture also influenced the Jews. Muslim and Jewish customs and practices became intertwined. For example, Arabic was used for prayers rather than Hebrew or Spanish. Before entering the synagogue, Jews washed their hands and feet, which is a practice done before entering a mosque. In the first Sephardi Diaspora, a large number of Jews settled in North Africa and in the Ottoman Empire, especially, Turkey and Greece. The Sephardi Jews preserved their special language, which was a combination of Hebrew and Spanish, known as Ladino. Mizrahim Jews– Jews who never left the Middle East and North Africa are known as Mizrahim Jews. This includes Iraqi Jews, Syrian Jews, Lebanese Jews, Yemenite Jews, Persian Jews, Afghan Jews, Bukharian Jews, Maghrebi Jews, Berber Jews, Kurdish Jews, Mountain Jews and Georgian Jews. Palestine– derives from the word Philistine, a non-Semitic people who left Crete, the largest and most populous of the Greek islands, and arrived in Canaan at the beginning of the 12th century B.C.E. The Philistines inhabited the Mediterranean coast of Canaan whose borders approximate the modern Gaza Strip. The Philistines occupation of Canaan is to have taken place during the reign of Egypt’s Ramesses III of the Twentieth Dynasty, ca. 1180 to 1150 BCE. After the European Romans conquered the region in the second century C.E., the Romans used the term Palestinia. Greek rule of Egypt took place when Alexander the Great invaded and conquered Egypt (KM.T or Kemet) in 332 B.C.E. and created the city of Alexandria. The rulers of this period of Egypt is known by the name of the Ptolemaic dynasty. The area came under Roman rule in 30 B.C.. The Romans expelled the Semitic Hebrews a number of times from what is now Israel. Jewish settlements in Ukraine can be traced back to the 8th century. During the period of the Khazar kingdom, Jews lived on the banks of the River Dnieper and in the east and south of Ukraine and the Crimea. The Khazars, an ancient nomadic Turkic people who reached the lower Volga region in the 6th century, were held in high esteem by the Pope and other national leaders and played a major role in solving the region’s conflicts. The Khazars’s Empire, at its height between the 8th and 10th centuries, extended from the northern shores of the Black Sea and the Caspian Sea as far west as Kiev. Jewish refugees from the Byzantium, Persia and Mesopotamia regions, fleeing from persecution by Christians throughout Europe, settled in the Kingdom because the Khazars allowed them to practice their own religion. Over time, European Jews integrated into the society and married Khazar inhabitants. At first, Khazars from royal families converted to Judaism. But other citizen from throughout the Kingdom soon followed suit, adopting Jewish religious practices including reading the Torah, observing the Sabbath, keeping kosher and switching to Hebrew as the official written system. By the 8th century, Jews were flourishing among the German tribes along the banks of the Rhine. They spoke the same languages and often had the same names as the Germans. 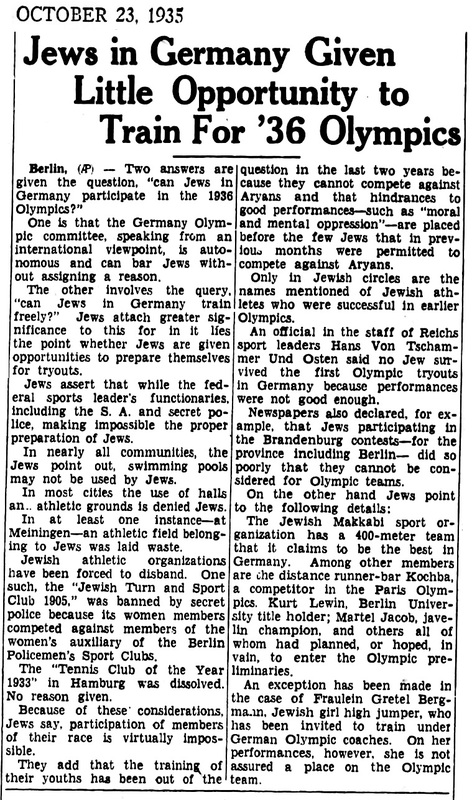 Many Germans even converted to Judaism. In 965, the Khazar Empire suffered a blow when the Russians destroyed its capital. Before 1066 there was no real evidence of presence of Jews in Britain. In the late 11th Century William the Conqueror brought Jews from Rouen, in northern France on the River Seine, to London. In 1066, in the wake of the Norman conquest of England, Jews left Normandy (France) and settled in London and later in York, Norwich, Oxford, Bristol and Lincoln. In 1078, Christian Pope Gregory VII, of Rome, prohibited Jews from holding offices in Christendom. In the 12th Century the First Charter of Protection to Jews was given in England. In 1095 November 26 Pope Urban II (in Clermont, France) made a public appeal to the Christians of Europe to liberate the city of Jerusalem from the Muslim Turks, who had closed it to pilgrims. This appeal marked the inception of the First Crusade. One result of the Crusade. With Christendom unified in a single purpose, the European converted Jews were now viewed as outsiders, and were rumored to be allied with the Muslims. In 1096 European Christian Crusaders would routinely massacre whole Jewish communities on their way to Jerusalem. European converted Jews were kill in Worms, Mainz and Cologne. There are 1,100 Jews were killed in one day in Mainz. Jews, in what is now Germany, ceased to be exclusively a merchant class and much of Europe was now accessible after having been traversed by Christian Crusaders, and international trade could be performed by non-Jews. 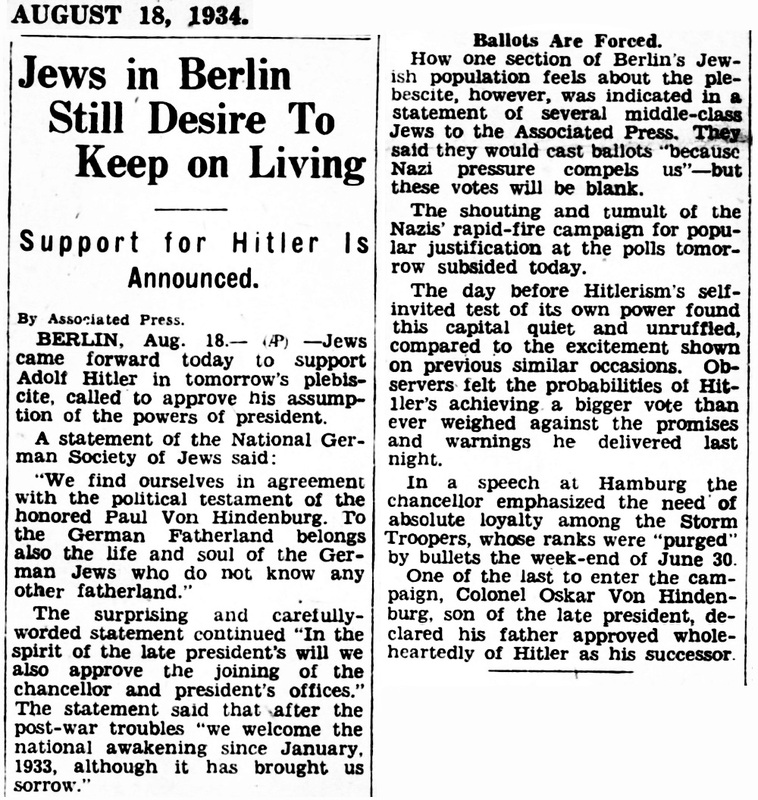 No longer could Jews hold public office, or blithely interact with their Christian neighbors. In 1098, many Jews arrived in what is now Poland during the period of the first Christian Crusade while leaving persecution in Bohemia. In 1177 , Jews were permitted to purchase burial grounds outside of London and any city where they lived. Before Jews of England had to use the burial ground in London. 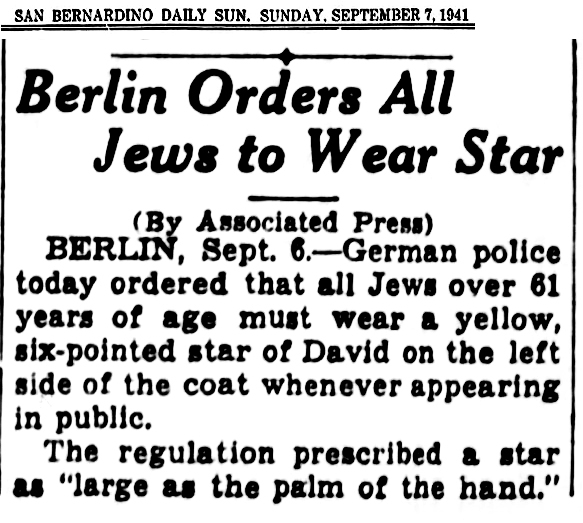 In 1181, Jews were forbidden to hold Arms in England. In 1189, the coronation of Richard Lion-Heart led to a series of massacres of Jews. In 1200s, while persecution took place across Europe during the Christian Crusades, Poland served as a haven for European Jewry because of its relative tolerance. During this period, Poland began its colonization process. Jews were treated well under the rule of Duke Boleslaw Pobozny (1221-1279) and King Kazimierz Wielki (1310-1370, aka King Casimir the Great ) because the now-decentralized nature of Polish polity saw the nobles forced to run their own areas and therefore the Jews- a group with commercial and administrative experience – were fought over to attract to the various townships. In 1231, Jews were expelled from Leicester. This proved to be the start of a host of expulsions from various cities and towns in England. In 1241, the Khazars were defeated by the Mongol invasion. The invasion devastated all of Poland. To rebuild the country and defend its cities, Poland recruited immigrants from the west, mainly Germany, promising to help them settle in villages and towns. German Jews, many of whom were massacred by Christian crusaders in 1200 and later those devastated by the Black Death in 1300, immigrated to Poland. 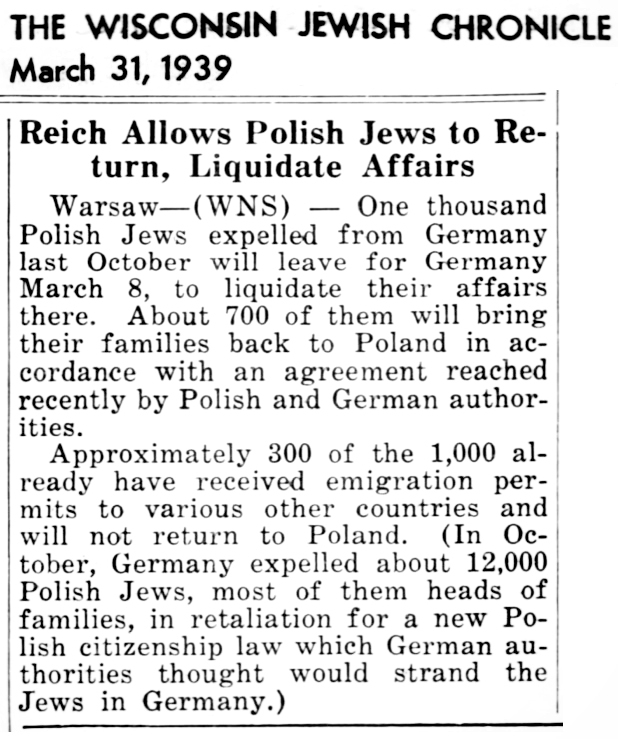 Jews in Poland shared a heritage with the new immigrants, but not a language. To communicate with one another, Jews in Poland created a new common language, Yiddish. Made up of a combination of Middle German, Polish and German-Hebrew, Yiddish became the Ashkenazi national Jewish language. 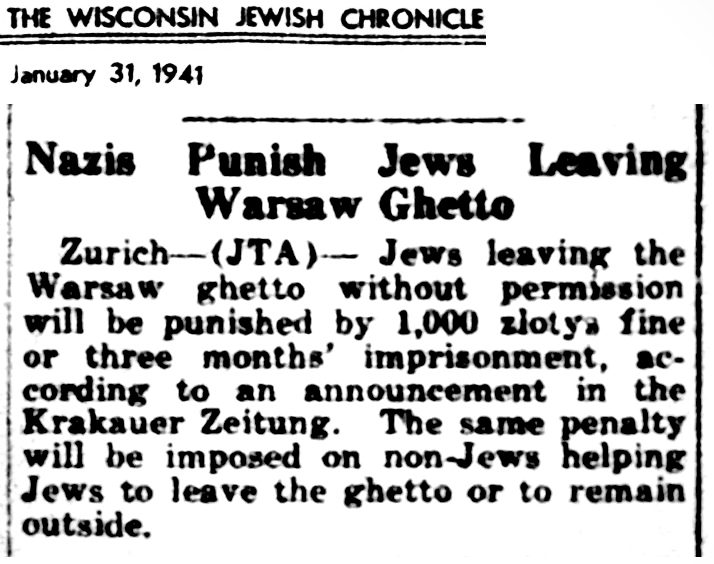 In 1253, Restrictive measures against Jews were put into place. In 1264, Attack on the Jews of London and elsewhere. Freedom of worship and assembly was also granted to the Jews, which helped lay the seeds for the foundation of Hasidism and other Jewish movements. In 1290, an Edict expelling Jews from England was given. In 1293, Destruction of most Jewish communities in the Kingdom of Naples (Italy). In the 1300s, in Poland opposition arose to the system in which Jews owned land that would be used as collateral for loans. By the mid-1300’s, hatred of the Jews existed among the Polish nobility. Jews throughout Poland were massacred because they were blamed for the Black Death. 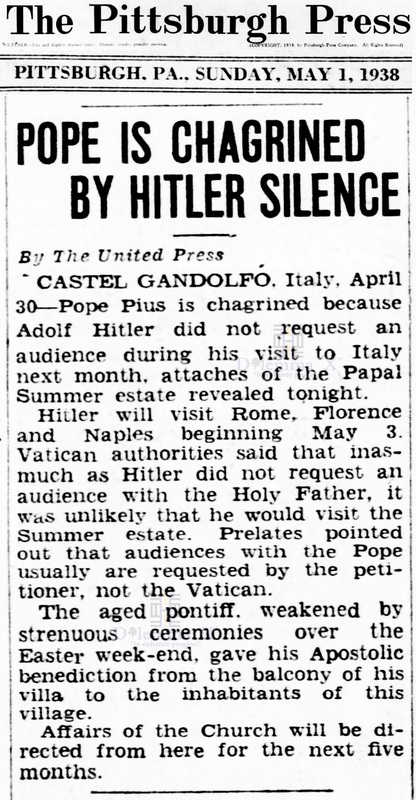 In 1305, Christian Pope Clement V is first pope to threaten Jews with an economic boycott in an attempt to force them to stop charging Christians interest on loans. In 1306, Philip IV orders all Jews expelled from France, with their property to be sold at public auction. 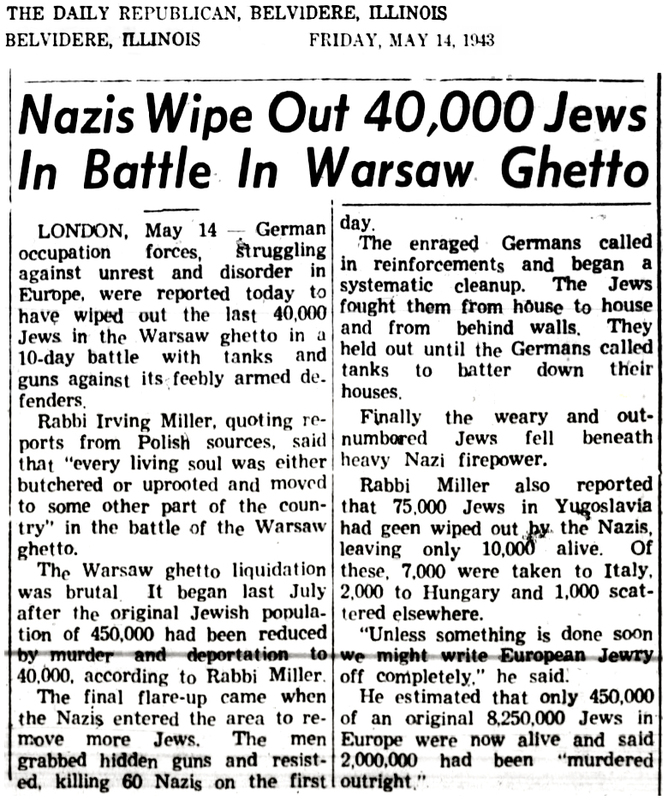 Some 125,000 Jews are forced to leave. In 1321, similar to accusations made during the Black Plague, Jews were accused of encouraging lepers to poison Christian wells in France. An estimated 5,000 Jews were killed before the king, Philip the Tall, admitted the Jews were innocent. 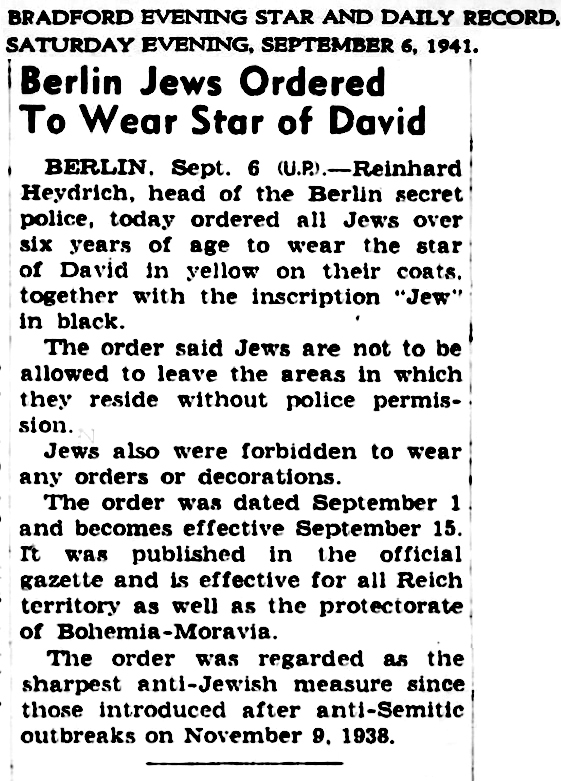 In 1321, Henry II of Castile forces Jews to wear yellow badges. In the early 1300s more than 200,000 Jews lived in Portugal, which was about 20 percent of the total population. 1322 Charles IV of France expels all French Jews without the one year period he had promised them. In 1348-1349, Much of Europe blames the Black Plague on the Jews and tortured to confess that they poisoned the wells. Despite the pleas of innocence of Pope Clement VI, the accusations resulted in the destruction of over 60 large and 150 small Jewish communities. 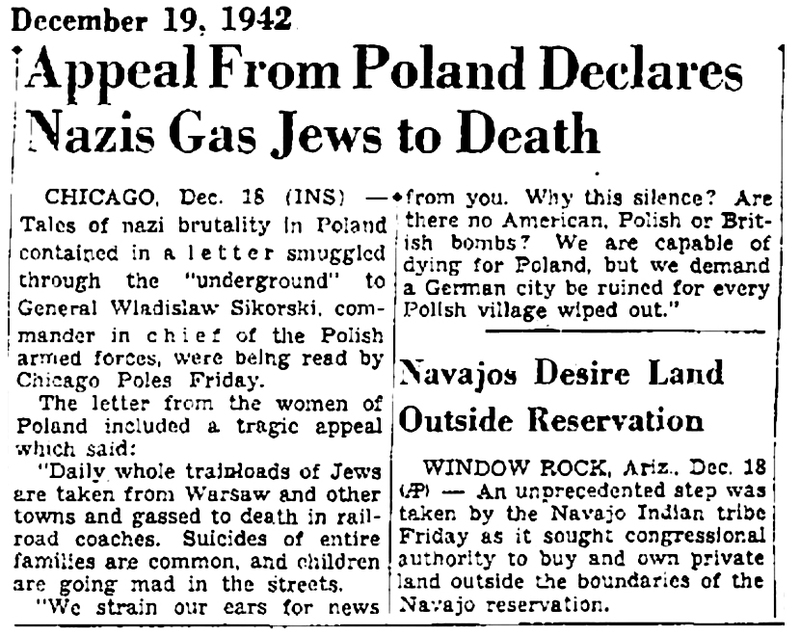 In Poland there were anti-Jewish riots. In 1348, Basle, Switzerland burns 600 Jews at the stake and forcibly baptizes 140 children, expelling the city’s other Jews. The city’s Christian residents convert the synagogue into a church and destroy the Jewish cemetery. In 1367,in what is now Romania the first real major wave of Jewish immigrants spread through Walachia (a Romanian principality founded around 1290) after they had been expelled from Hungary. In 1385-1386, German Emperor Wenceslaus arrests Jews living in the Swabian League, a group of free cities in Southern Germany, and confiscates their books. 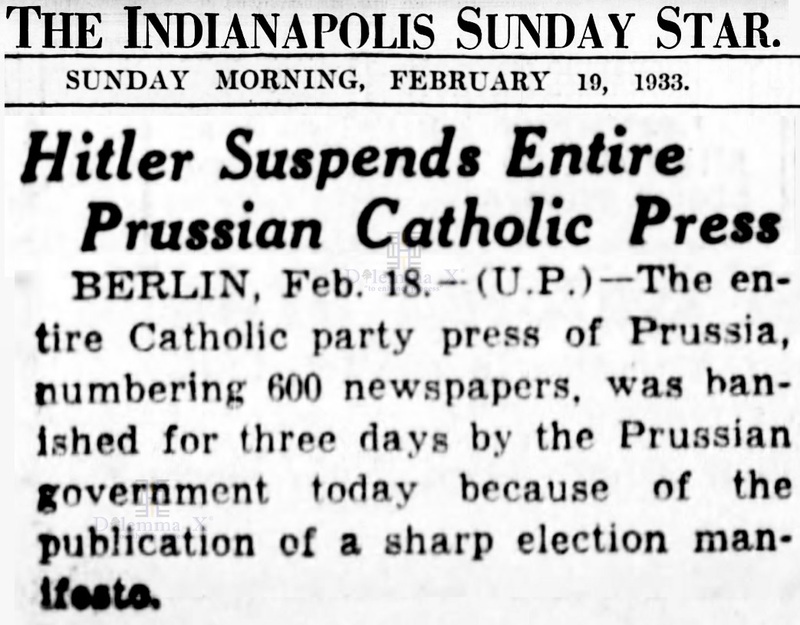 Later, he expelled the Jews of Strassburg after a community debate. In Portugal Jealous of the Jews’ success, anti-Jewish sentiment arose in the peasant and middle classes. Fights between Jews and Christians became more common after the influx of Jews from Spain into Portugal, in 1391. 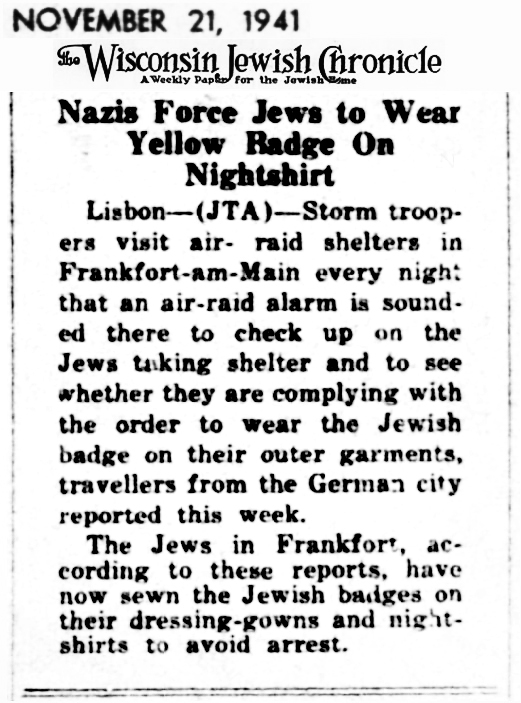 During the reign of King Joao I (1385-1432), Jews were forced to wear a special habit and to obey a curfew. Joao’s successor, King Duarte (1433-1438), introduced laws forbidding Jews from employing Christians. In 1388, The first record of a Jewish population was in Brest-Litovsk. These are the first record of Jews in Belarus. At that time, Belarus was a region of Poland-Lithuania, and was referred to as Belorussia. It was also on the path between Poland and Russia, and it was first visited by Jewish merchants. 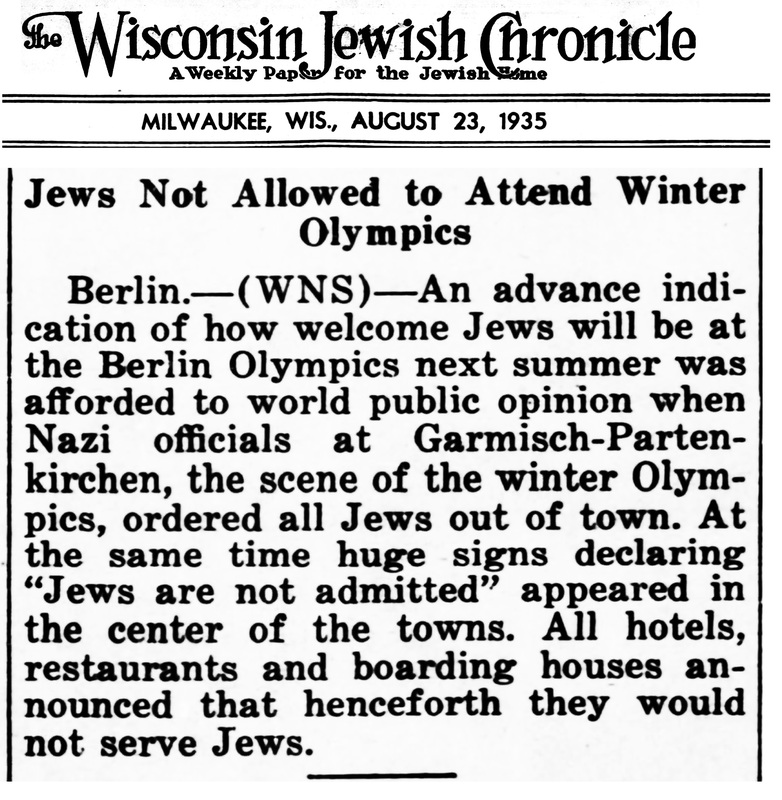 While Jews were technically allowed to settle in Belorussia, Christian citizens tried to dissuade them from taking up permanent residence there. 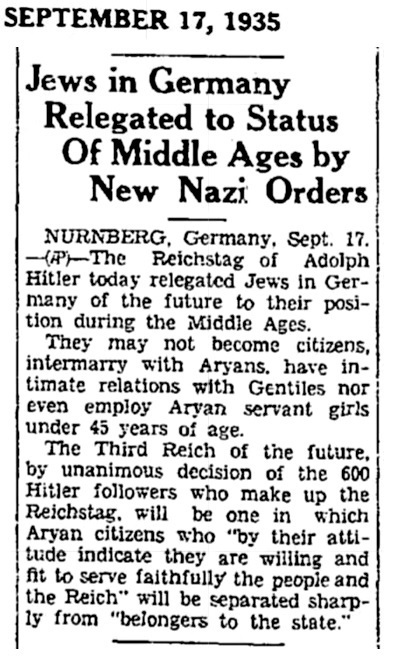 They prevented Jews from many employment opportunities, and prohibited them from building synagogues. 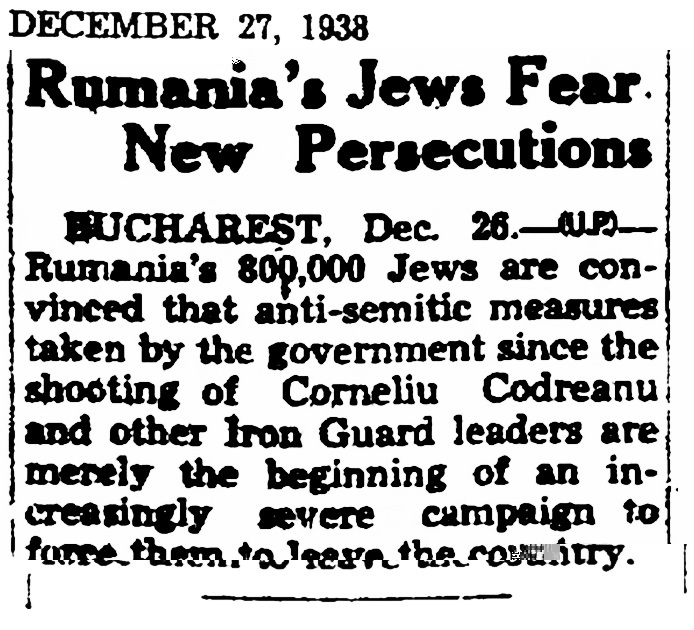 As a form of more violent opposition, Russian Christians repeatedly attacked Jewish communities in the region. They coerced Jews into conversion, and murdered many of them as well. In 1407, there were anti-Jewish riots in Poland. 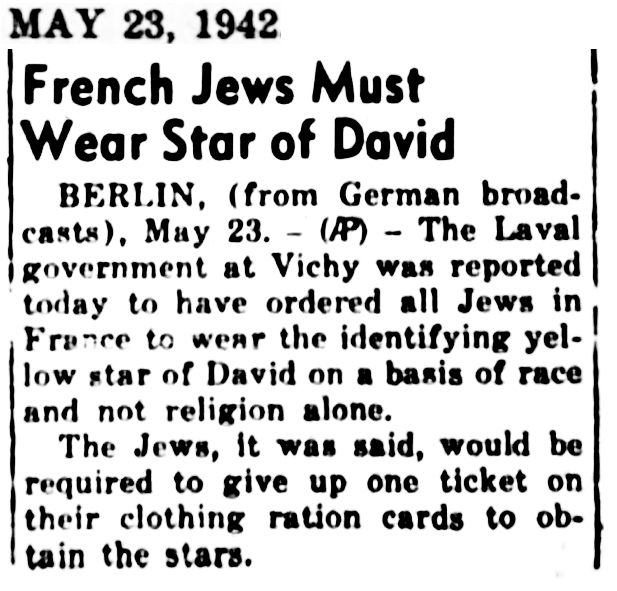 In 1420, all Jews are expelled from Lyons, France including the refugees from Paris who were expelled 20 years earliers. Jews now only remain in Provence, France (until 1500). 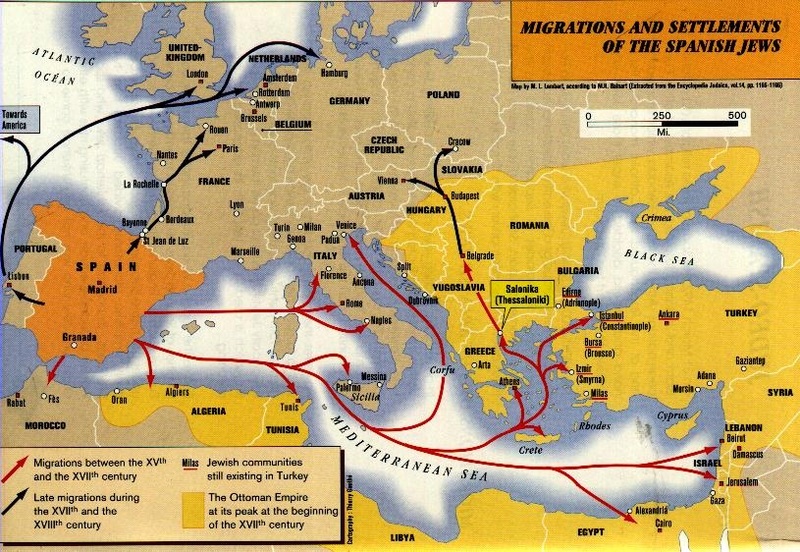 In 1470, Jews expelled from Bavaria (now Germany) by Ludvig X found refuge in the Ottoman Empire. In 1477, Jewish households in Istanbul, Turkey numbered 1,647 or 11% of the total. In 1488, first complete edition of Hebrew Bible printed I Soncino, Italy, by Abraham ben Hayyim. In 1492, King Ferdinand and Isabella expelled the entire Jewish community is expelled from Spain. This occurred when the Spanish Army defeated Muslim forces in Granada, thereby restoring the whole of Spain to Christian rule. In 1494, Jews of Florence and Tuscany are expelled. In 1494, there were anti-Jewish riots in Poland. In 1497, Portugal expelled its Jews. King Manuel of Portugal agreed to marry the daughter of Spain’s monarchs. One of the conditions for the marriage was the expulsion of Portugal’s Jewish community. In actuality only 8 Jews were exiled from Portugal and the rest were converted by force to Christianity. On March 19, 1497 (the first day of Passover), Jewish parents were ordered to take their children, between the ages of four and fourteen, to Lisbon. Upon arrival, the parents were informed that their children were going to be taken away from them and were to be given to Catholic families to be raised as good Catholics. In 1503, the Polish monarchy appointed Rabbi Jacob Polak, the official Rabbi of Poland, marking the emergence of the Chief Rabbinate. In 1506, 3,000 “New Christians” (former Jews) were massacred in Lisbon, Portugal. Afterward, Portugal’s King Manuel executed 45 of the main culprits who had incited the mob. In 1510, Italy expels majority of Jews living south of Rome. In 1537, Jews expelled from Apulia (Italy) after the city fell under Christian Papal control. In 1541, Italy again expels majority of Jews living south of Rome. By the mid-16th century, 80 percent of the world’s Jews lived in Poland. Jewish religious life thrived in many Polish communities. The Chief Rabbinate held power over law and finance, appointing judges and other officials. Some power was shared with local councils. The Polish government permitted the Rabbinate to grow in power, to use it for tax collection purposes. Only thirty percent of the money raised by the Rabbinate served Jewish causes, the rest went to the Crown for protection. In this period Poland-Lithuania became the main center for Ashkenazi Jewry. In 1569, Pope Pius V expels the Jews from the papal states. In the 16th century some European Jewish refugees from the Spanish expulsion came to Walachia, in what is now Romania, from the Balkan Peninsula. A few served as physicians and even diplomats at the court of the sovereigns of Walachia. Since it was on the trade routes between Poland-Lithuania and the Ottoman Empire many Jewish merchants traveled through Moldavia, the second Romanian principality (in the northeast), founded in the middle of the 14th century. Some settled there and were favorably received by the rulers of this underpopulated principality. In 1570, establishment of the ghetto in Florence, locking in 86 Jews at night. The ghetto was established by Cosimo under pressure from the Church, in exchange for his receiving the title of Grand Duke of Tuscany. In 1571, The ghetto swells to 500, as Jews from all over the Grand Duchy of Tuscany are compelled to live within the ghetto walls. In 1571, The Venetian government, at war with Turkey, resolves to expel all Jews from Venice and the Adriatic Islands. In 1593, Pope Clement VIII expels the Jews living in all the papal states, except Rome, Avignon and Ancona. In 1597, 900 Jews are expelled from Milan. In 1791, Belorussian, Russian, Lithuanian, and Ukrainian Jews were forced to live in the Pale of Settlement. The confinement of Jews was Tsar Cathrine II’s solution to the influence of Jewish mercantilism. Non-Jewish tradesmen were unhappy with the amount of competition from Jewish merchants. By confining Jews in one area, non-Jews gained a monopoly over Russian trade. In 1622, all Jews except for physicians were expelled from all of Switzerland except two villages in the Aargau canton. Aargau did not join the Swiss Confederation until 1803 hence they were exempt from requiring the expulsions. In 1640, Greek Orthodox Christianity preached intolerance toward Jews and shaped the first codes of law: the Church laws of Moldavia and Walachia, now Romania. 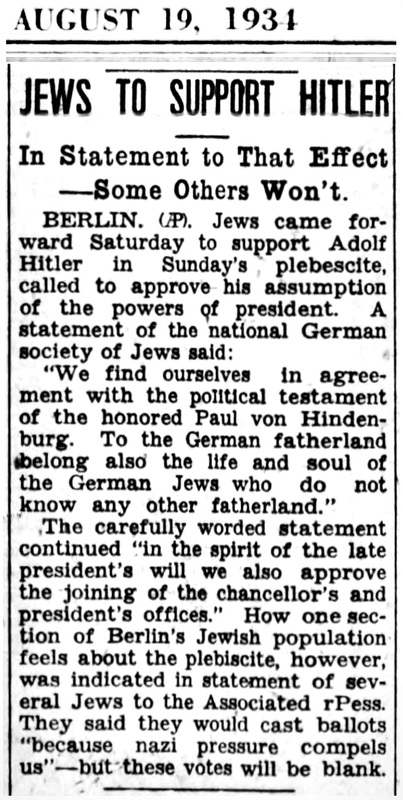 Both proclaimed the Jews as heretics and forbade all relations with them. 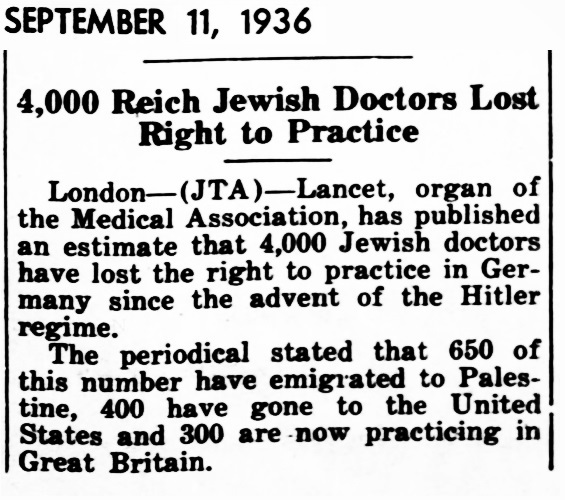 With the exception of physicians, Jews were not accepted as witnesses in trials. In 1656, had readmission into England. Jewish residents of London began living openly as Jews. The first Synagogue wasestablished after Readmission. In 1664, Jews granted Royal protection. In 1692, the first Ashkenazi Synagogue was established. In 1682, Pope Innocent XII abolishes Jewish loan-banks in Rome. In 1683, he extends the ban to Ferrara and other Jewish ghettos under his authority. 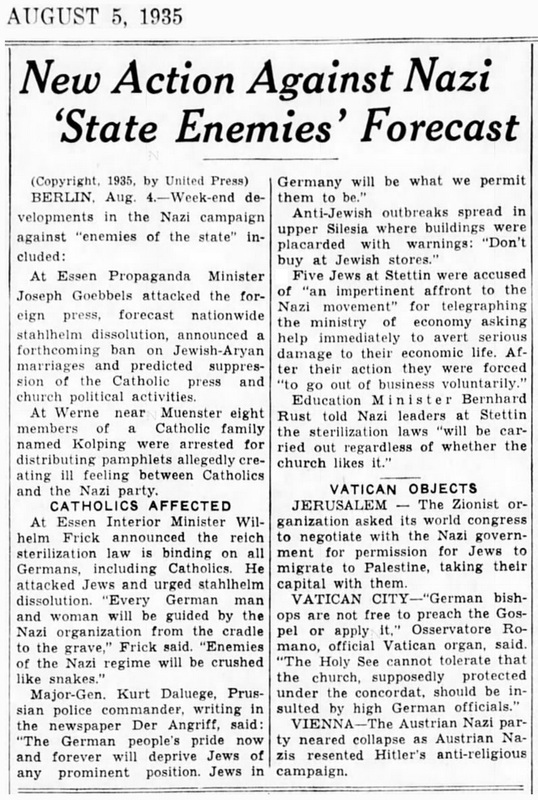 Prohibited from shopkeeping and most trades and crafts, the Roman Jewish community shrinks, while the Jews of Northern Italy begin entering commerce and industry. In 1656, although no formal agreement on readmission, Jewish residents of London began living openly as Jews. In 1808, Under France’s Napoleon, Jews are freed from the ghetto of Florence, but are forced to return in 1815, with the restoration of the French royal House of Lorraine. In 1825, Czar Nicholas I (reign: 1825-1855) sought to destroy all Jewish life in Russia. he ordered the conscription of Jewish youth into the Russian military beginning at age 12. Many of the youngsters were kidnapped. In 1858, the first Jew, Lionel Rothschild, takes seat in House of Commons. Finnish Jewish history effectively began in the first half of the 19th century when Jewish soldiers (so-called cantonists), who served in the Russian Army in Finland, were permitted to stay in Finland by the Russian military authorities following the soldiers’ discharge. Subsequently, the presence of Jews in the country was governed by the decree of 1858, under which discharged Russian soldiers and their families, without regard to their religion, were allowed to stay temporarily in Finland. The occupations open to discharged soldiers were defined in a decree of 1869 which was applied also to soldiers of Jewish origin. 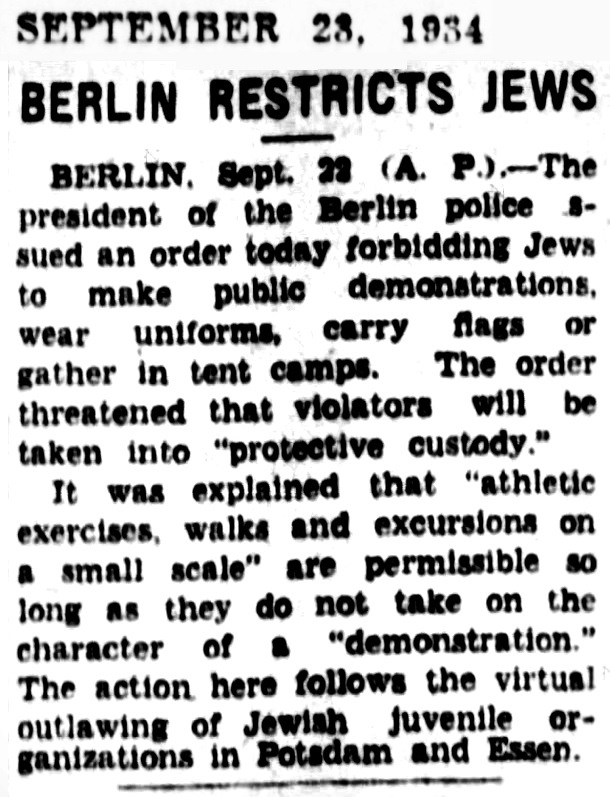 In 1889, the Government issued an administrative decree expressly governing the presence of Jews in Finland. 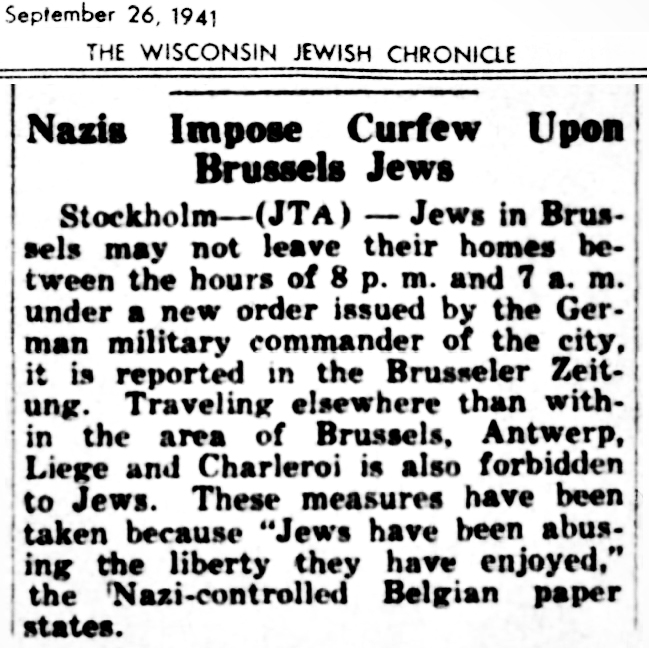 Under the decree a number of Jews mentioned by name were allowed to stay in the country only until further notice and to settle only in certain towns assigned to them. They were given temporary visit permits with a period of validity not exceeding six months. The occupations open to the Jews, being the same as under the decree of 1869, meant in practice that they were to continue supporting themselves mainly as dealers in second-hand clothes. They were forbidden to attend fairs or perform their activities outside their town of residence. The slightest violation of any of these limitations served as grounds for expulsion from Finland. Children were allowed to stay in Finland only as long as they lived with their parents or were not married. Jews conscripted to the Russian Army within Finland were not allowed to return to Finland after their discharge. 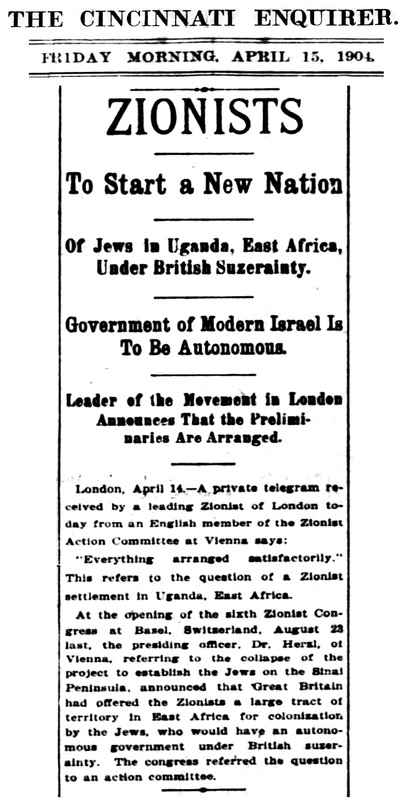 In 1896, the first version of Theodor Herzl’s “The Jewish State” published in Jewish Chronicle. Theodor Herzl is the the visionary of Zionism and was born in Budapest. In 1861, with the unification of Italy, with Florence as the first capital, the Jews are emancipated and the ghettos are abolished. In 1870, the Jews of Italy are finally emancipated with the abolition of the ghetto in Rome. Between 1850 and the end of the 1800s, the Jewish population in Russia increased substantially due to a high birthrate and a low mortality rate. In 1850, the number of Jews in Russia stood at around 2,350,000 whereas it almost doubled to 5,000,000 by the late 19th century. In 1881, Czar Alexander II was assassinated and the situation for the Jews deteriorated. The Hibbat Zion movement brought Zionism into Russia 1881-1883. 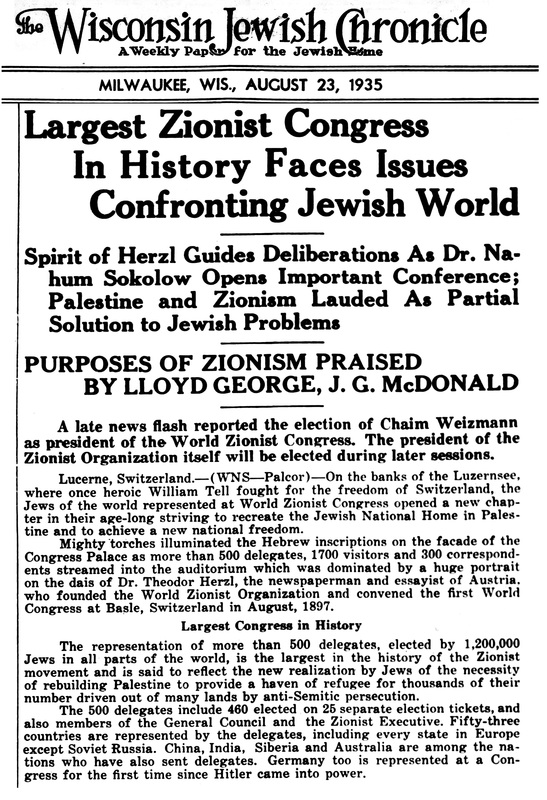 The World Zionist Organization was founded in Western Europe, the mass of members and supports came from Eastern Europe. In 1881, The first wave of modern immigration to Palestine (now Israel), or Aliyah startedas Jews fled persecution in Europe, or followed the Socialist Zionist ideas of Moses Hess and others of “redemption of the soil.” Jews bought land from Ottoman and individual Arab landholders. After Jews established agricultural settlements, tensions erupted between the Jews and Arabs. In 1882, laws were passed blaming the Jews for the pogroms. 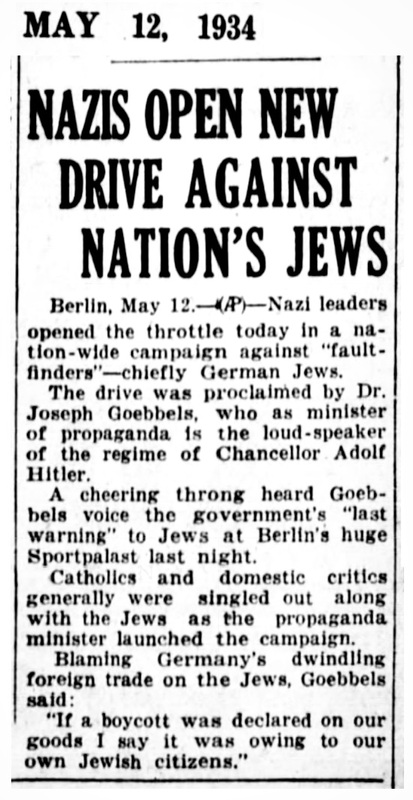 This led to restrictions on Jewish landownership, prohibited Jews from living in villages, and the number of Jews studying in secular schools was limited to 10% in the Pale of Settlement and 3-5% everywhere else. In 1890, the ghetto of Florence is demolished, allowing reconstruction of the town center, now the Piazza della Republica. In 1891, Jews were systemically expelled from Moscow. When Nicolas II took over (1894-1918), the situation for Jews deteriorated. From the Passover of 1903 on, government policy reached their peak in October 1905. 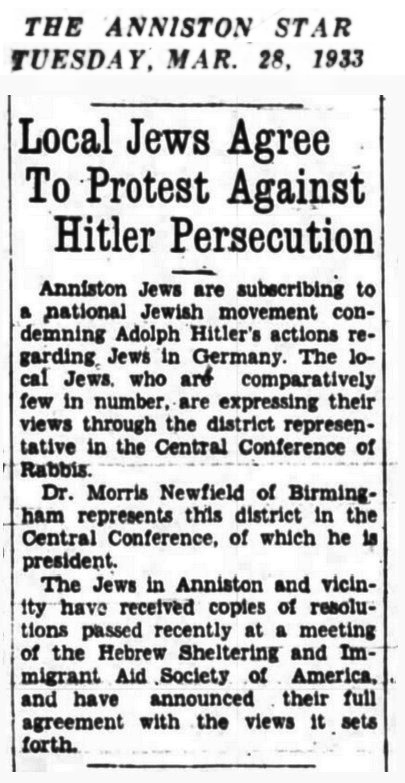 In 1902, Anti-Jewish disturbances in South Wales. 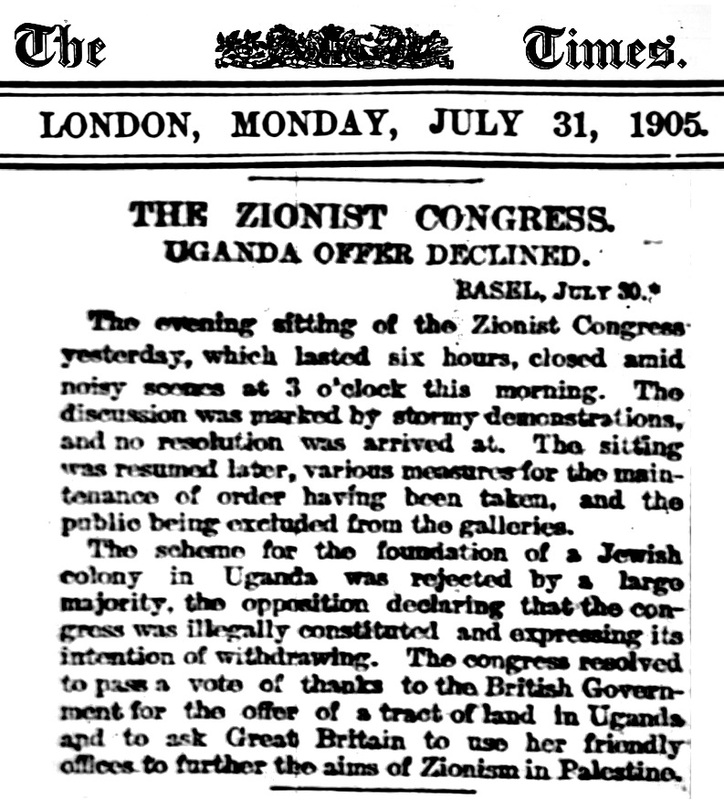 In 1905, The Uganda Program was finally rejected by the Zionist movement at the Seventh Zionist Congress. From 1904-1914, the establishment of Zionism led to the Second Aliyah with the influx of around 40,000 Jews into Palestine. In 1911, Anti-Jewish riots took place in Tredegar in south-east Wales. In 1912, a new Russian law passed that prohibited even the grandchildren of Jews from serving as military officers, despite the large numbers of Jews and those of Jewish heritage in the military. The census of 1897 showed that Jews of Russia (numbering 5,189,400) constituted slightly over 4% of the total Russian population (though disproportionately about 18% in the Pale of Settlement) but about one-half of world Jewry. 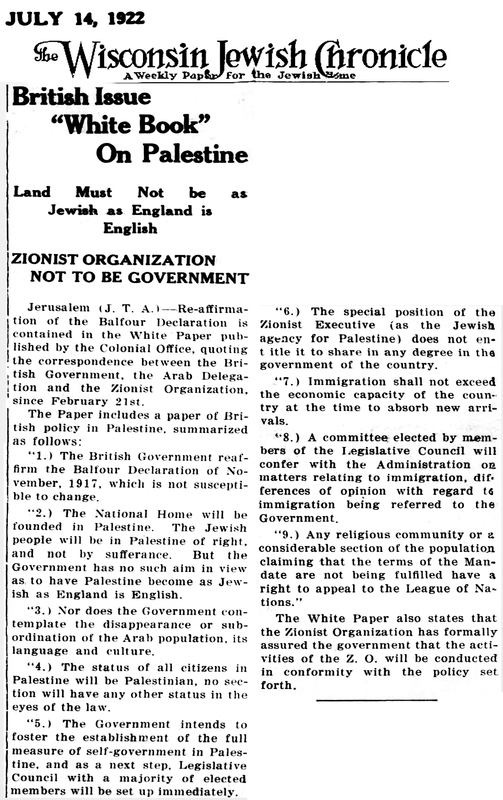 In 1917, The Balfour Declaration was stated. The British government decided to endorse the establishment of a Jewish home in Palestine. After discussions within the cabinet and consultations with Jewish leaders, the decision was made public in a letter from British Foreign Secretary Lord Arthur James Balfour to Lord Rothschild. The contents of this letter became known as the Balfour Declaration. 1919–1923, Jewish immigration resumed in third wave into Palestine. 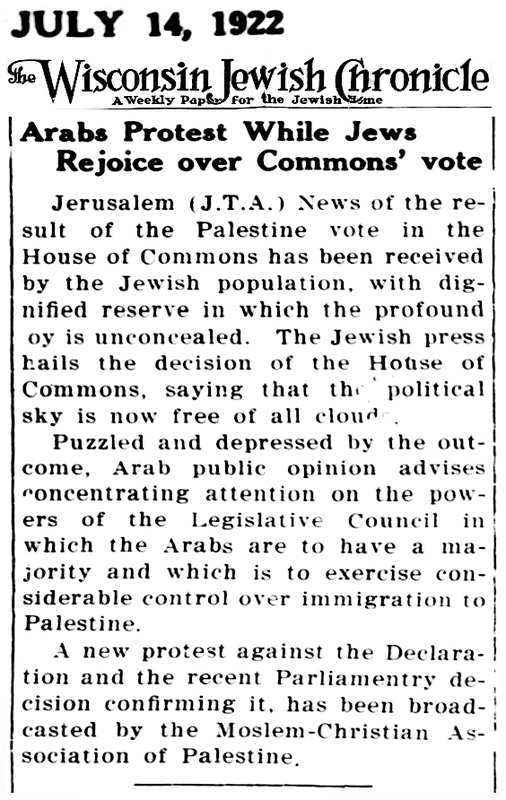 In 1920, the Palestine Mandate was assigned to Britain. The British Mandate for Palestine was a legal commission for the administration of the territory that had formerly constituted the parts of the Ottoman Empire ruled Middle East. 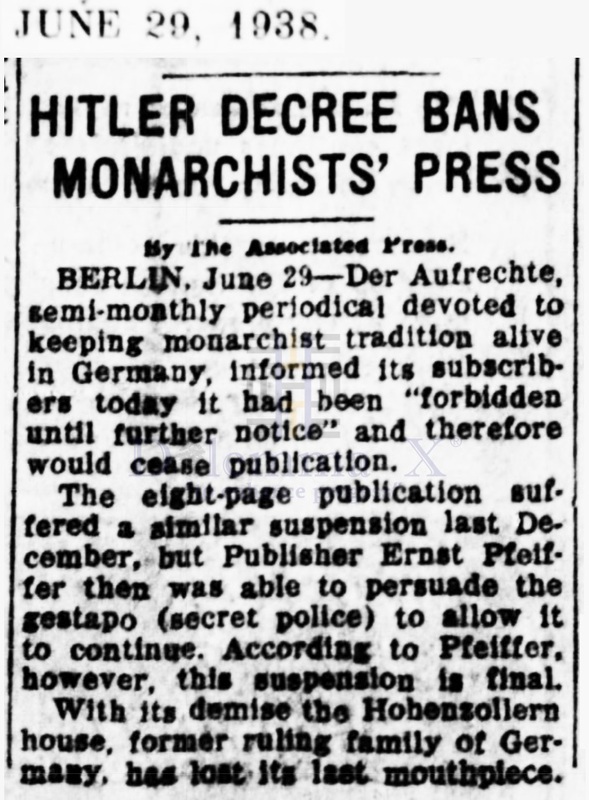 It was confirmed by the Council of the League of Nations on July 24, 1922. The mandate document formalized the division of the British protectorates – Palestine, to include a national home for the Jewish people, under direct British rule, and the Hashemite Emirate of Transjordan. In 1921, the British placed restrictions on Jewish land purchases in what remained of Palestine. 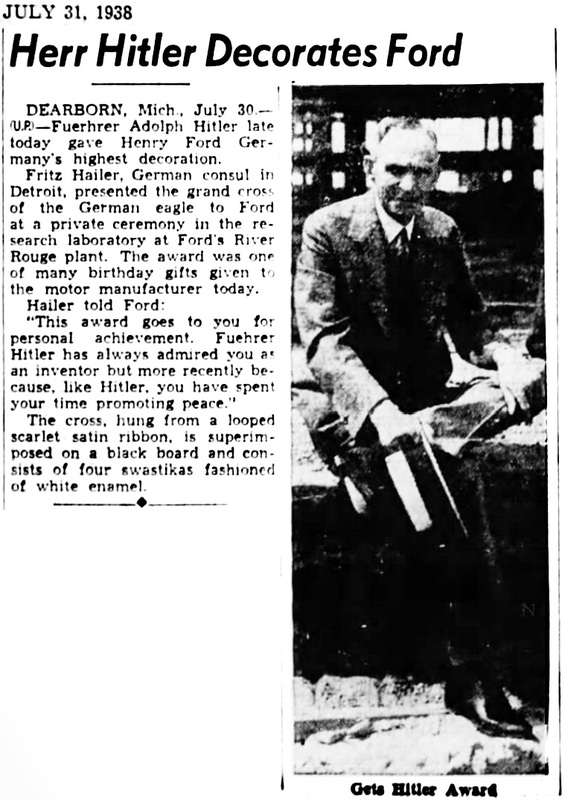 In 1933, Adolph Hitler became Chancellor of Germany and the flight of Jews out of Nazi Germany began. 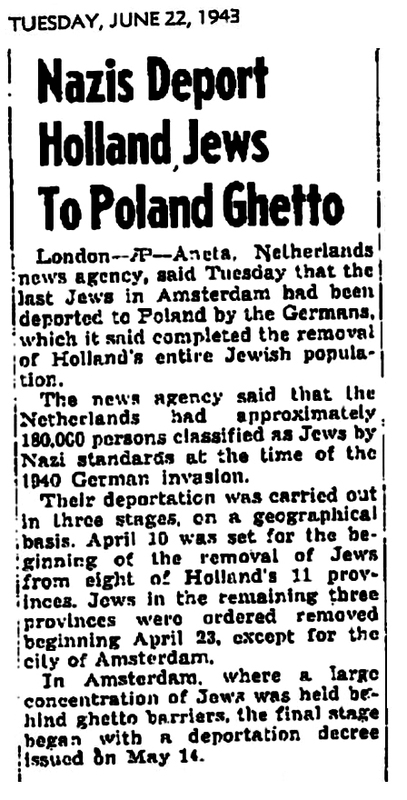 Most Jewish refugees from Germany and Austria found it very difficult to enter Britain. 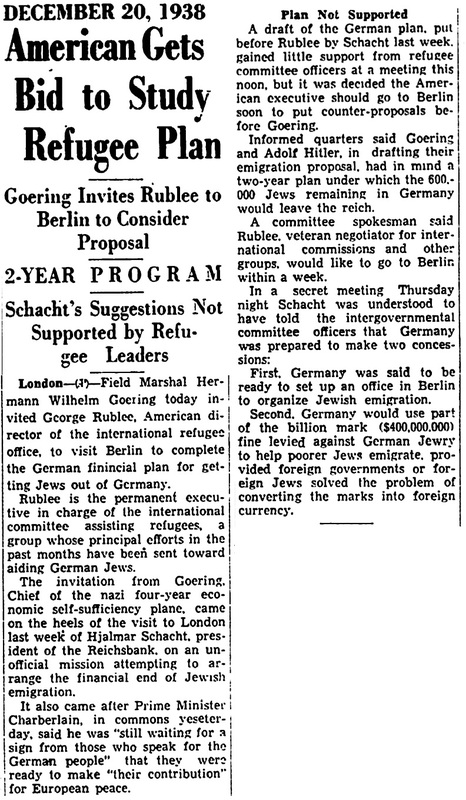 In 1936, the migration of Jews was still underway out of Nazi Germany. 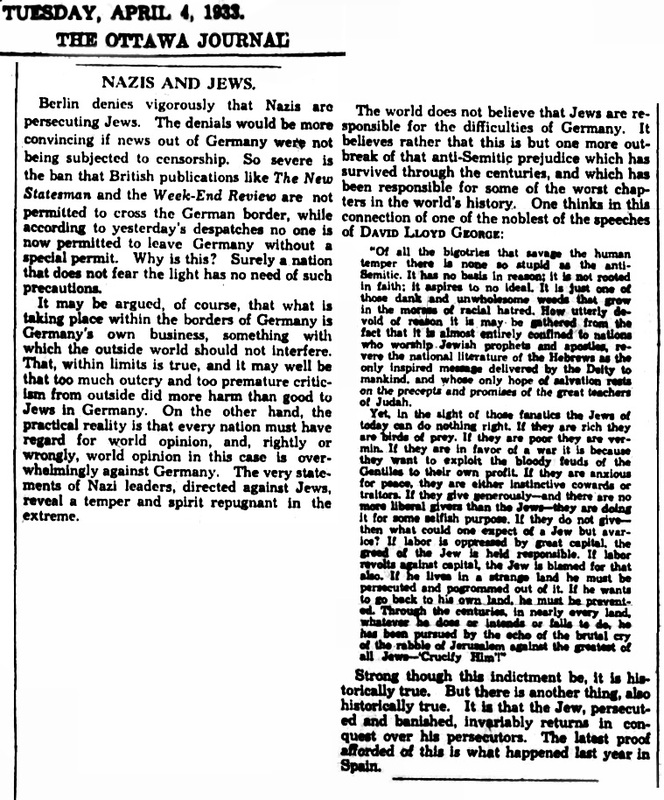 By 1939, about 70,000 Jews had been granted refuge in Britain. The main area of settlement was North-West London. 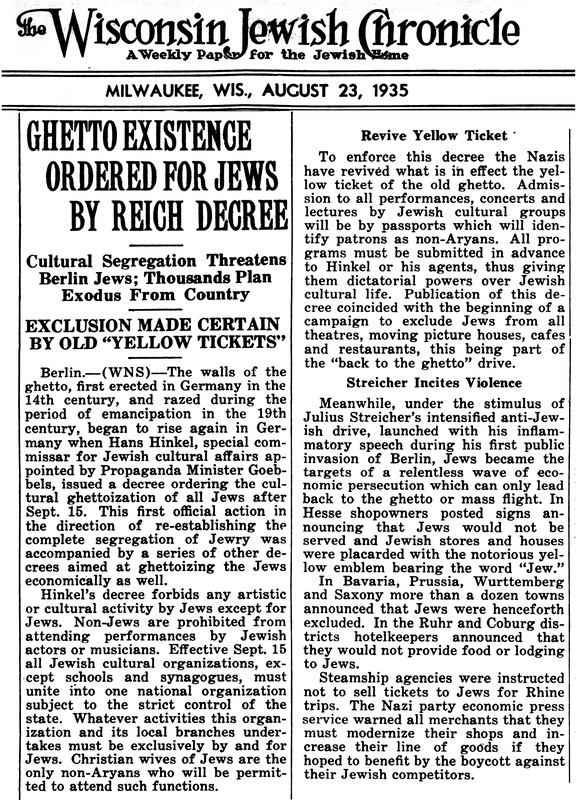 Also, in 1939, the British introduced a White Paper of 1939, which limited Jewish immigration over the course of the war to 75,000 and restricted purchase of land by Jews, perhaps in response to the Great Arab Uprising (1936-1939). 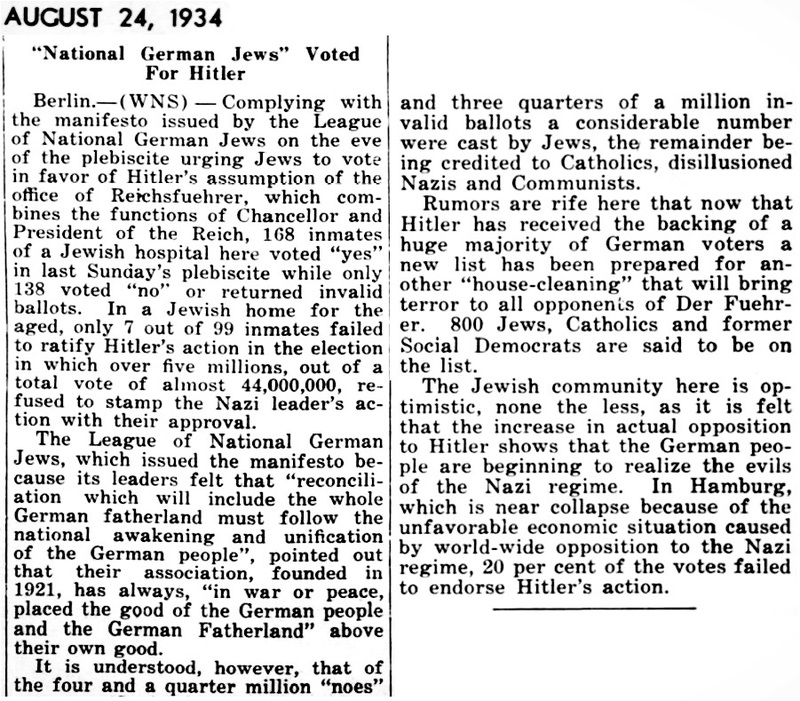 In 1942, the confirmation of extermination of Jews by German Nazis was announced to the House of Commons. In 1947, the UN Partition Plan – the United Nations General Assembly passed the United Nations Partition Plan for Palestine (UN General Assembly Resolution 181), a plan to resolve the Arab-Jewish conflict by partitioning the territory into separate Jewish and Arab states. In 1948, the State of Israel was proclaimed on May 14, 1948, one day before the expiry of the Palestine Mandate. In 1949, Israel was admitted as a member of the United Nations on May 11, 1949. The Spanish conservative government plans to make amends with a law expected to be passed within weeks or months that offers citizenship to the descendants of legions of Jews forced to flee in 1492. 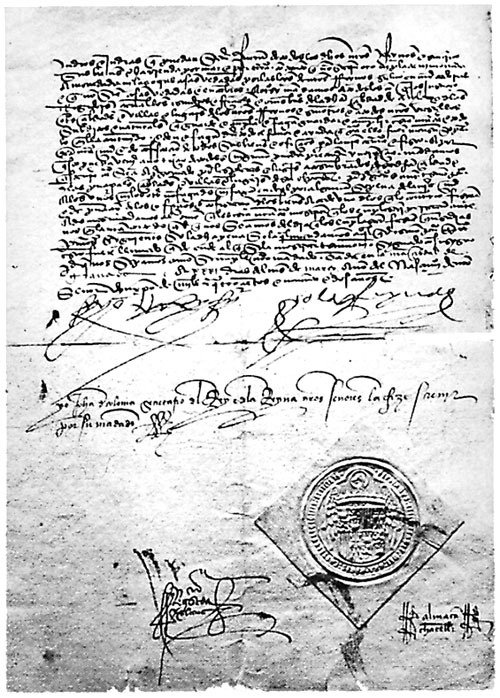 The Alhambra Decree ( the Edict of Expulsion) was an edict issued on 31 March 31, 1492 by the joint Christian Catholic Monarchs of Spain (Isabella I of Castile and Ferdinand II of Aragon) ordering the expulsion of Jews from the Kingdoms of Castile and Aragon by July 31, 1492. 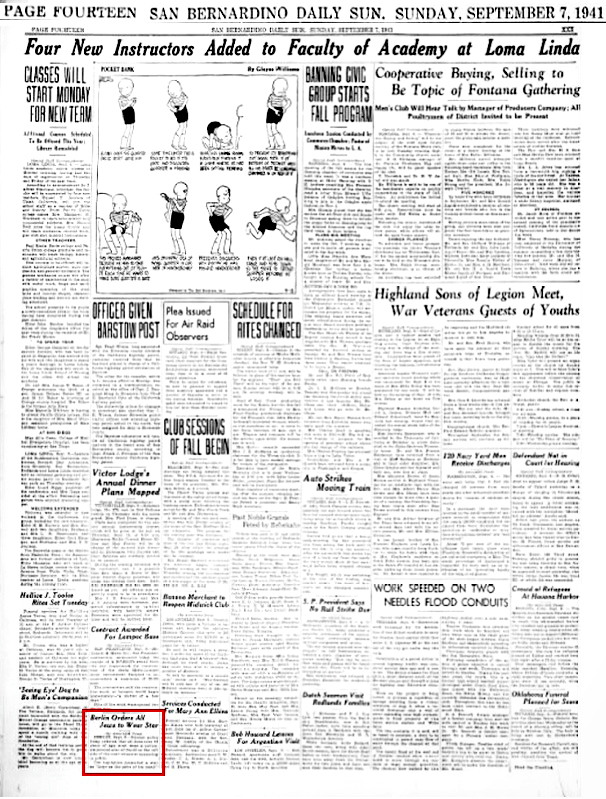 Click images of newspaper articles below for better viewing. Click your return arrow to return to this Dilemma X topic. The British Mandate for Palestine was a League of Nations mandate for the territory that had formerly constituted part of the former Ottoman Empire, at the end of World War I. Following the occupation by British troops in 1917–1918, Palestine was governed by the Occupied Enemy Territory Administration. The mandate formalized British rule in the southern part of Ottoman Syria, the eastern Mediterranean, from 1923–1948. 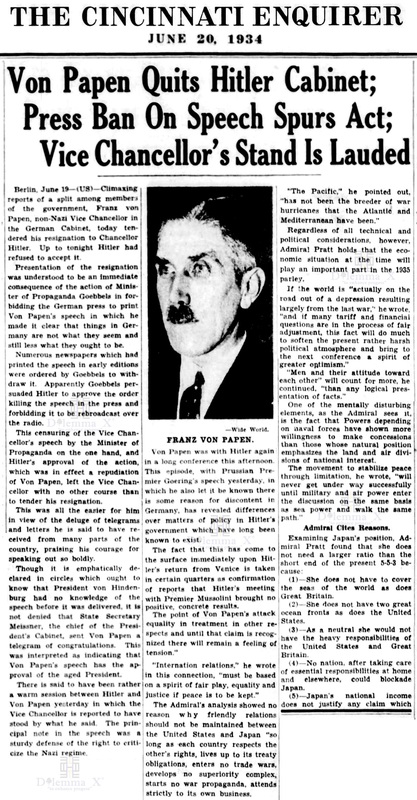 1942 Report come out that half of all the Jews under Nazi German rule were killed. This article in on the front page but, not the headliner. 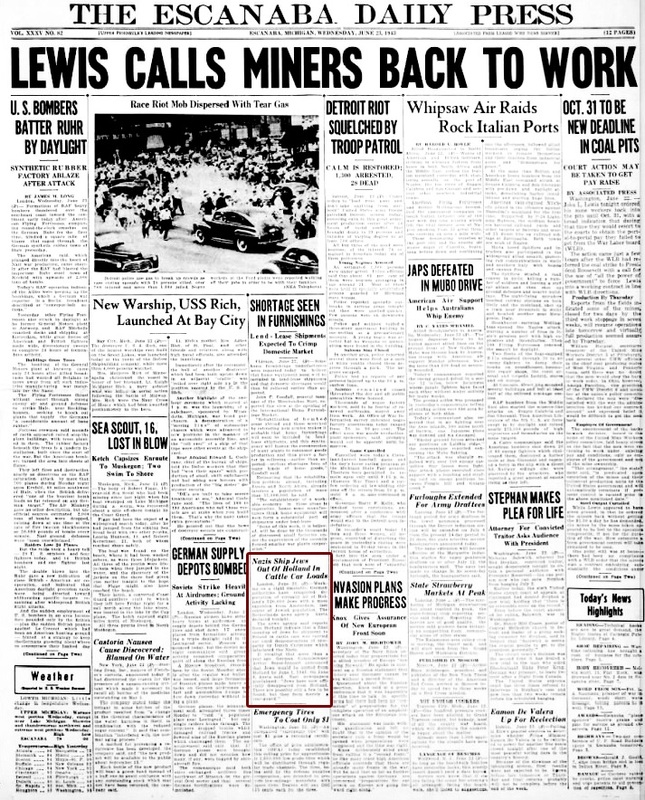 The main issues of World War II headline the newspaper.